Discussion in 'Pay It Forward' started by Zach S, Apr 12, 2017. I'm shutting down my old tank and have a few things that I'd like to find a home for. All have been in this tank for 3-4 years. 3) Rock of misc zoas, I've honestly forgotten what type they are. There are three types total on the rock. Nice of you to contribute so soon. I'm sure you'll have a couple of good homes that volunteer soon. These are all taken, thanks for the quick responses everyone! 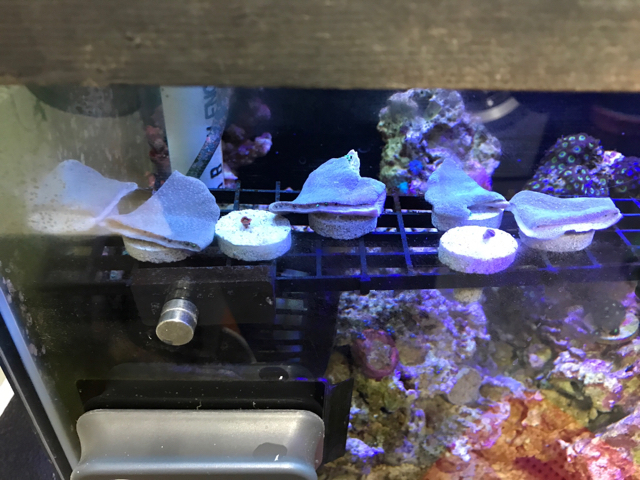 Looking forward to seeing more of your tank and corals when you get a chance. Welcome! Pic of before and after! The half that I didn't frag. Ah so you cut off the top bit only? The stem doesn't matter? Is the rose bta still available?